IHG, Holiday Inn Resort Hainan Clear Water Bay is located in Clear Water Bay, touted as one of Hainan's most attractive tourism areas. 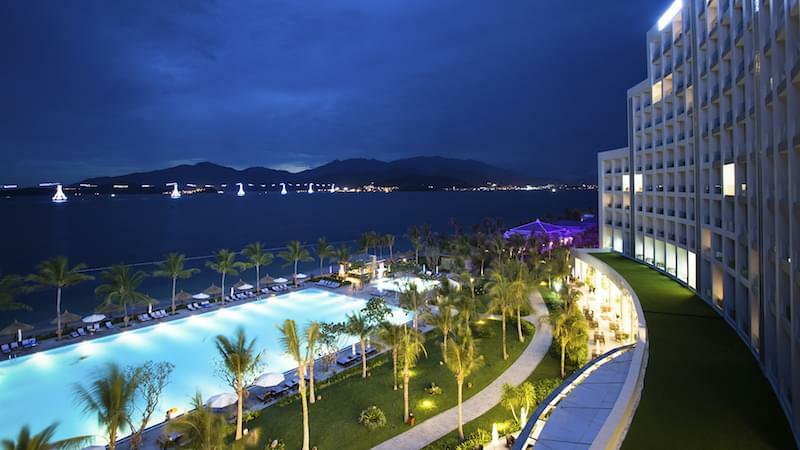 The hotel is a 45 minutes’ drive from Sanya Phoenix Airport and only minutes from Agile Golf & Country Club, which features 36 holes across two championship courses. Local attractions include Monkey Island, Hainan Yanoda Rainforest Cultural Tourism Zone, Ocean Park and marina with 780-birth yacht club that is just 10 minutes’ drive from the hotel. Located just 20 minutes’ walk from one of South China’s most pristine, soft white sand beach fronts, Holiday Inn Resort Hainan Clear Water Bay is a genuine tropical paradise. The hotel, which uniquely integrates the scenic local landscaping into its design, features 272 finely appointed guestrooms and suites, each with delightful views. We further offer outstanding meetings and events facilities, including 4 meeting rooms and a grand ballroom that accommodates 380 persons comfortably. Additional hotel highlights include a top-floor Executive Lounge, outdoor Lobby Lounge, specialty restaurants, fitness center and Spa, 800-square-meter outside swimming pools all adding to the pleasure of your stay. A warm, family friendly place to stay, we offer kids-themed suites, a 150-square meter Kids Club and kids outdoor swimming pool. Holiday Inn Resort Hainan Clear Water Bay enjoys the perfect location for enjoying all of what Hainan has to offer.